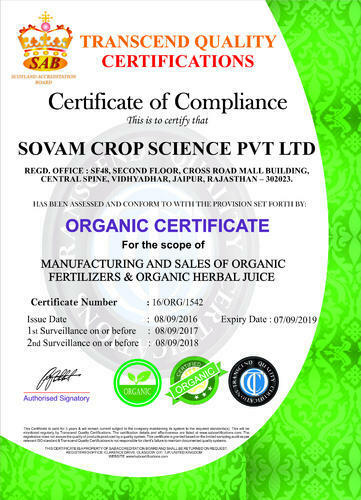 Sovam Crop Science Pvt. 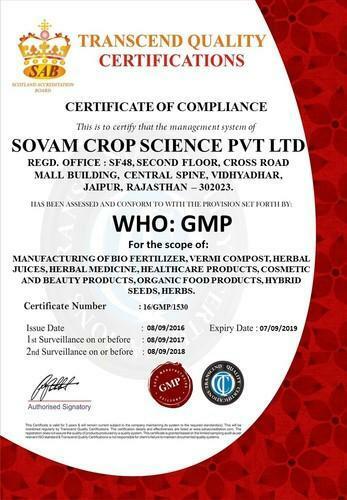 Ltd." is one of the leading manufacturers of products that are used in Agricultural fertilizer & seed,Herbal,& Nutraceutical Industry, Biotechnology & Fermentation Industry; Food & Beve rages Industry Brewery & Distillery Industry; Cosmetic Industry Veterinary & Animal Feeds; Aquaculture Industr Microbiological Dehydrated Culture Media; Plant Tissue Culture Media; Antibiotic Discs & Powders. State-of-art technology & infrastructure is being achieved by "Sovam Crop Science Pvt. Ltd."Our manufacturing plants are located in Jaipur, Rajasthan, India.Company is committed to total Customer Satisfaction Policy. This is achieved by providing its customers the highest quality products available along with the most responsive Customer Support Services. 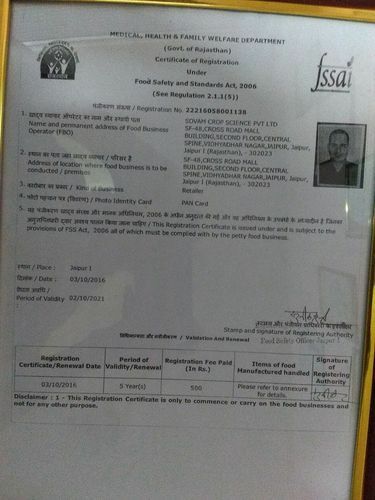 “We Believe In Quality & Relationship. 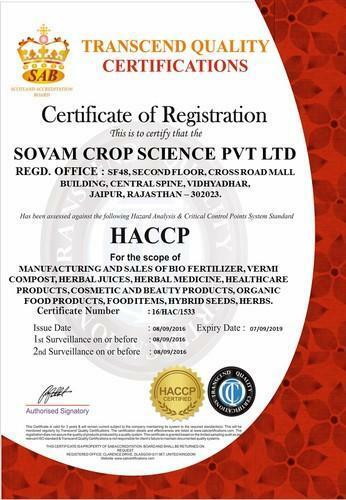 We would like to introduce ourselves as "Sovam Crop Science Pvt. 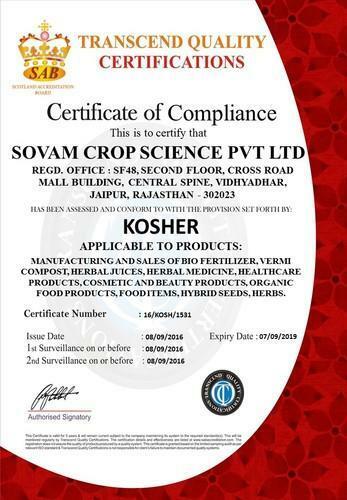 Ltd." an ISO 9001-2015, KOSHER, WHO-GMP, ORGANIC, Hazard Analysis Critical Control Points (HACCP), FSSAI certified company. We have with us fully functional infrastructural base that enables us to enhance production capacity and accomplish large scale production. Apart from streamlining production process, our infrastructure improves business growth, domain skill and overcoming the business difficulties. Our infrastructure is been strategically sectioned and modernized machines and tools have been installed. We are a remarkable entity, engaged in offering superior quality products.